Combined Driving is an extreme sport. While all riding disciplines have their challenges, the carriage driving world has taken athleticism to a whole new level. This event has three phases: dressage, cross-country marathon, and cone driving. One of these is hard enough, conquering all three? That’s quite an accomplishment! Suzy Stafford has been dominating this sport for years. Over that time, not only has she taken home National and World titles, but has become the first American to win the World Championship. Her and her Morgan mare, PVF Peace of Mind, or "Hunny", are out to take it all. So far, they’ve stacked up quite the collection of wins and titles. 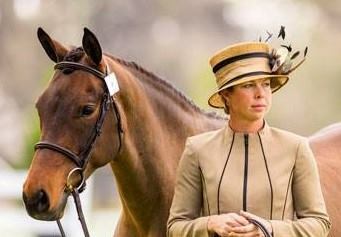 Hunny was named the number one combined driving horse in the country in 2016, declared International Horse of the Year in 2015 and has been inducted into the U.S. Equestrian Federation Hall of Fame. We had the chance to talk to Suzy about her life as an equestrian. From grooming the neighbor’s horse as a child, to the injury that put her on the path to a career in Combined Driving and the World Championship, she told us about the journey so far, and where she’s headed next. Your interest in horses began at a young age, what inspired you to start riding? Suzy: I don’t come from a horse family, my neighbor had a horse and I’d go over everyday to groom. When I was 11 or 12, my parents bought me riding lessons, and I never left the barn after that. You had just completed the American Riders Instruction Program for Dressage and Combined Training, when a leg injury ended your riding career. Can you tell us about how you channeled that energy and need for an equestrian sport into a driving career? Suzy: I’m an extremely competitive person, and very goal oriented. After I broke my leg, I tried to ride and compete again, but my body just wasn’t cooperating as I needed it to, meaning, I couldn’t compete at the level I wanted to or had been previously and it wasn’t good enough for me. 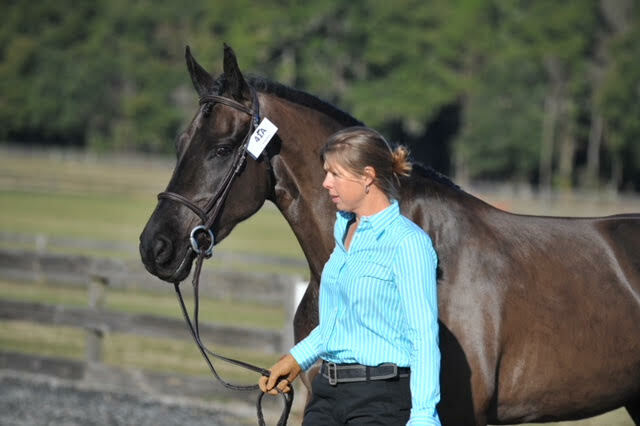 I knew about combined driving from Lisa Singer, I helped her at a handful of shows. I didn’t know anything about driving. When I decided to hang up my hat for riding, I thought, well, let’s give this driving thing a try. To be honest, it was much more challenging than I expected. I looked at the sport and thought, this is for older people! But I’m biting my tongue now, it was really interesting and challenging enough to fill that void that I had from showing horses. Luckily, I was somewhat good at it in the beginning which helped launch my career. Also, working with Lisa Singer, who was one of the best at the time, really helped accelerate the success of my career. What was it like working with Lisa Singer? What were some of the lessons you took from that experience? Suzy: We were very similar in our work ethic, so we got along really well from the beginning. Typically when you’re a groom and work for a barn, it limits your ability to compete. Lisa saw my drive and how competitive I was, and she was very open about letting me go out and show. She knew it would allow me to learn a little quicker. One of the biggest things I learned from her was my attitude towards competition. She was very calm about it; never got worked up. It was always about an end goal; preparing for the larger picture. I learned it was about making sure that I kept my goals long term, not short term. You’ve worked with quite a multitude of breeds for driving, is one in particular hold a soft spot in your heart? Suzy: Personally, the Morgan has done me well. They suit my temperament better than most of the breeds, but I have a lot of friesians, and I like them as well. Morgans started my career, so I have to give them their credit. COAT DEFENSE has been used by riders under tack, but you’ve had good luck using it under your harness and driving equipment. What made you start using the product and reach out to owners Vince and Sandy? Suzy: I got a call from a fellow driver, and she recommended I look into the product. I have two horses with chronic skin issues, one with scratches on the lower limbs and the other tends to get harness rubs when freshly clipped. I used the paste on the scratches, and it worked wonderfully to heal those. Then I tried the powder under the breast collar and work boots, there were no rubs at all after that. I realized what a good product it was, and that it worked so well, so I reached out to Vince and Sandy. We worked out a sponsorship so that I could promote their product, since it was so useful for fellow equestrians. What are you looking forward to for the 2018 season? Suzy: I’m in the selection trials for the Single Horse World Championships, that’s in the Netherlands in September. Suzy: We’ve had our first selection trial in February, where I won! We’ll do two more selection trials here in the states, then possibly one more in Europe before the Championships. 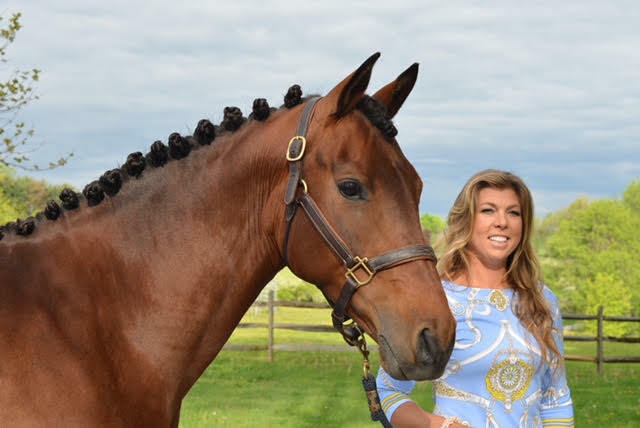 COAT DEFENSE wants to thank Suzy for taking the time to answer our questions, and to wish her the best of luck in the 2019 Single Horse World Championships! Spring Showers Bring... Rain Rot? !